There is no aspect of food left unexplored by Harry Blazer. So it was only a matter of time until he pulled an outstanding dentist into his orbit for a new episode of the Food Series. This coming week on the Solari Report, Dr. Andrew Killgore will join Harry for a discussion of dental health. This fascinating discussion will inspire you to improve your dental health and enjoy a stronger relationship with your dentist. Dr. Killgore received his Bachelor of Arts in Philosophy from Vanderbilt University in Nashville, TN. Prior to entering the University of Louisville School of Dentistry, Dr. Killgore served as an Outward Bound mountaineering instructor in Montana and then worked in dental equipment sales. 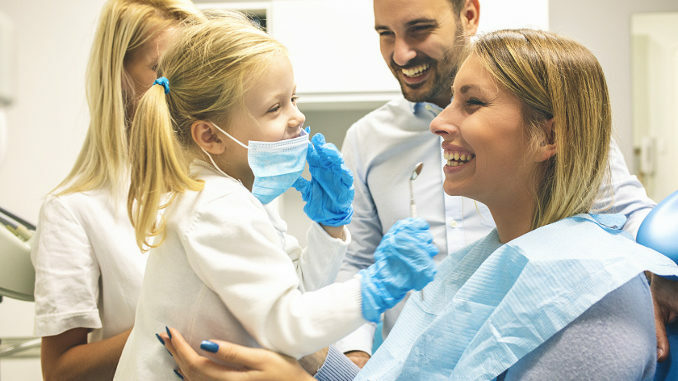 Dr. Killgore is a member of the Academy of General Dentistry, the American Dental Association, the Ohio Dental Association, the American Academy of Implant Dentistry, and the American Academy of Cosmetic Dentistry. Dr. Killgore’s passions include dental mission work. He has been a leader of mission teams to the Dominican Republic, Jamaica, Mexico and Uganda and provides free dental care to the needy from his practice in Cincinnati. This week in Let’s Go to the Movies! I will review the film Dare to Be Wild, which tells the story of Irishwoman Mary Reynold’s journey from rank outsider to winner of a Gold Medal at the Chelsea Flower Show. Make sure to post or email your questions for Ask Catherine.